Arriving in Port Douglas, long-running diver operator Divers Den has begun a new chapter in its 40-year history. One of the longest established reef dive operators in Cairns, the company has introduced AquaQuest, a brand new purpose-built vessel, to the waters of Port Douglas. The 25m catamaran is now offering daily snorkel and dive services to St. Crispins, Opal and Agincourt Reefs from Port Douglas. Commissioned in Thailand, the vessel was also built there under the watchful eye of Tony Physick, Divers Den Owner and Director. Making the 12-day trip from Thailand, the catamaran arrived at the marina to begin its new life in Port Douglas. Divers Den General Manager Sonjha Forbes said the $5M investment and expansion was part of a five year plan to add to the dive market in Port Douglas. 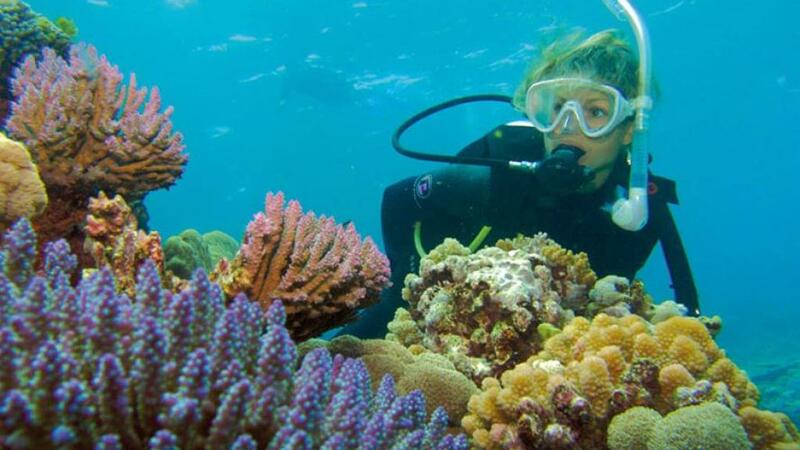 One of the most popular Port Douglas attractions, the company is set to reposition diving in Port Douglas to cater to a more discerning and sophisticated market using state-of-the-art operations and vessels. “There has been a concerted effort by the company to revitalise and raise the bar for greater choice, flexibility and range of experiences. For the Divers Den team, the launch of AquaQuest is a real cause for celebration and caps off a few very busy years paving the way for exciting times ahead” Forbes said. The only day trip vessel of its kind to operate out of Far North Queensland, AquaQuest boasts its own onboard nitrox filling facility and promotes buddy diving to offer visitors a more enjoyable and carefree diving experience. In addition to the vessel and new Port Douglas service, Divers Den has also set up a retail shop and booking office in Macrosson Street. As part of their plan to expand, the operator also offers a daily return transfer service for visitors in the Northern Beaches and Cairns.